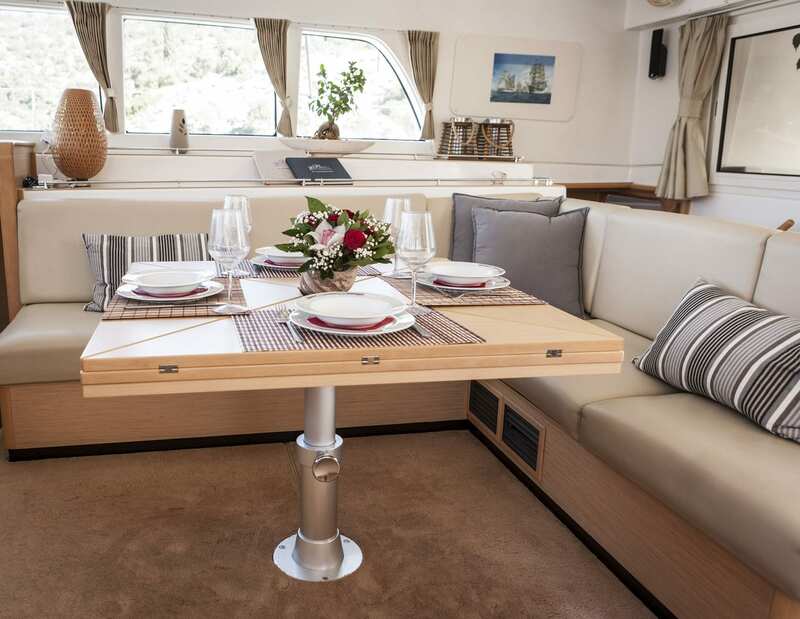 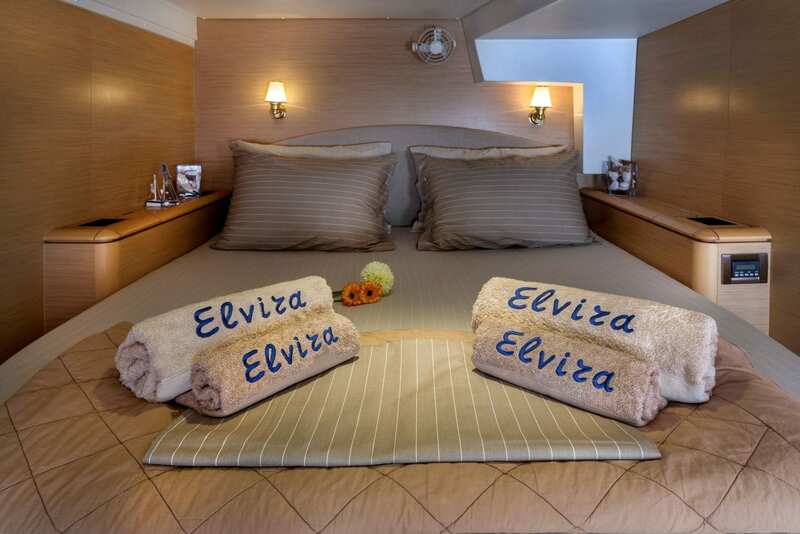 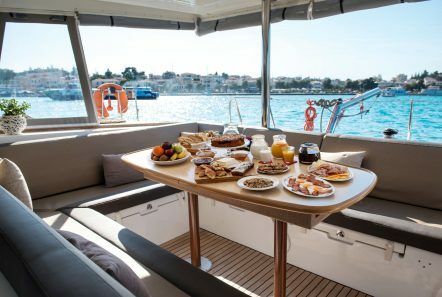 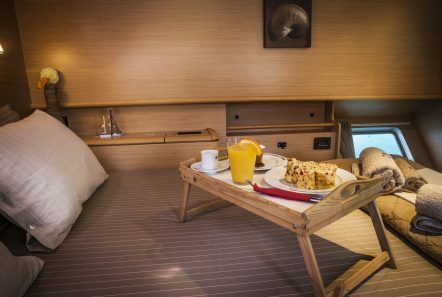 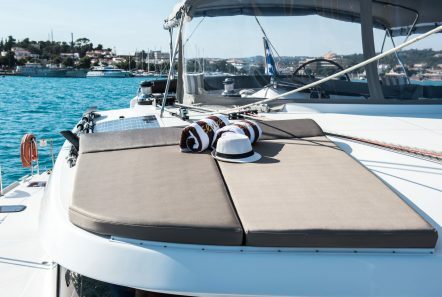 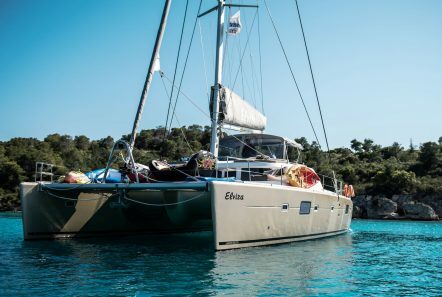 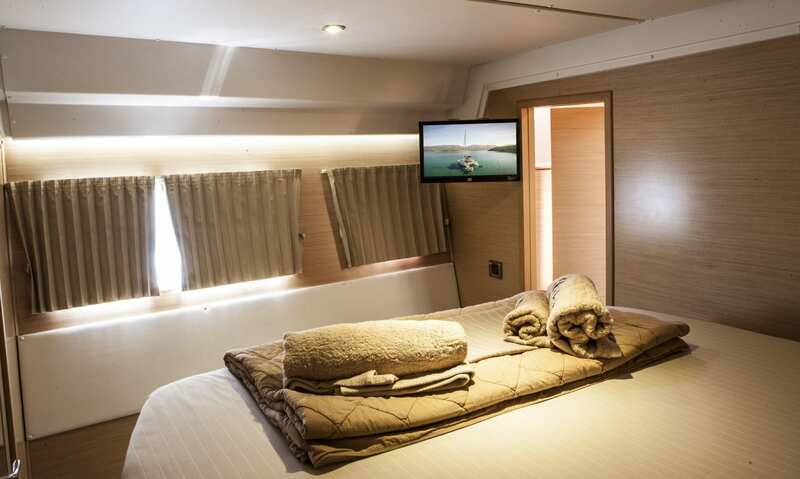 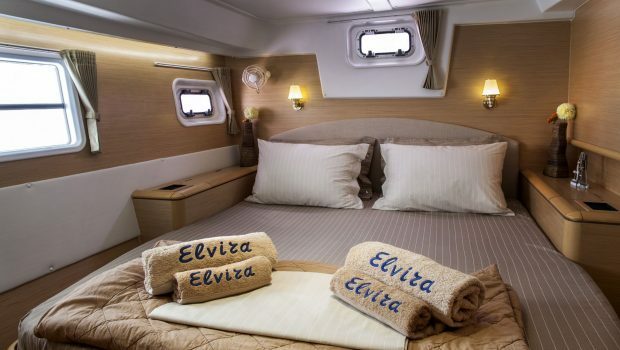 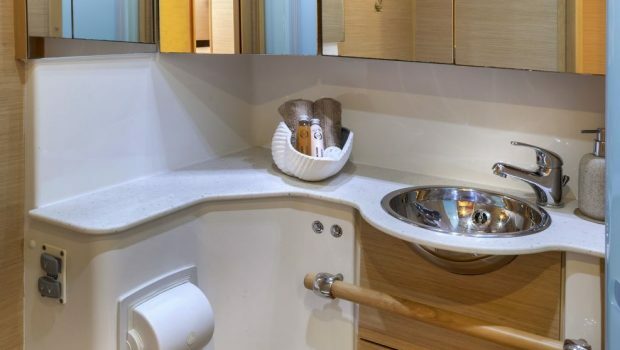 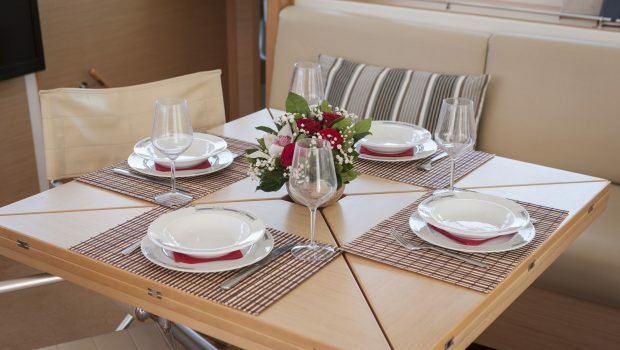 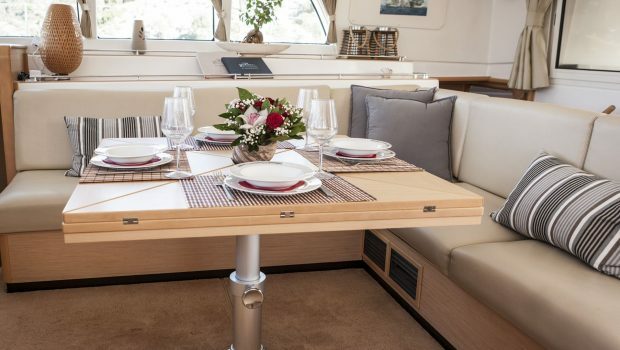 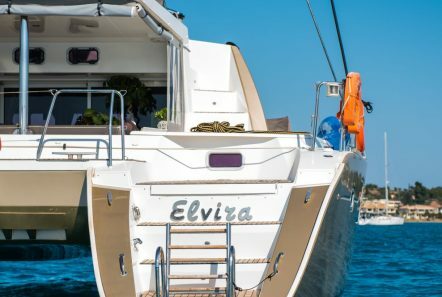 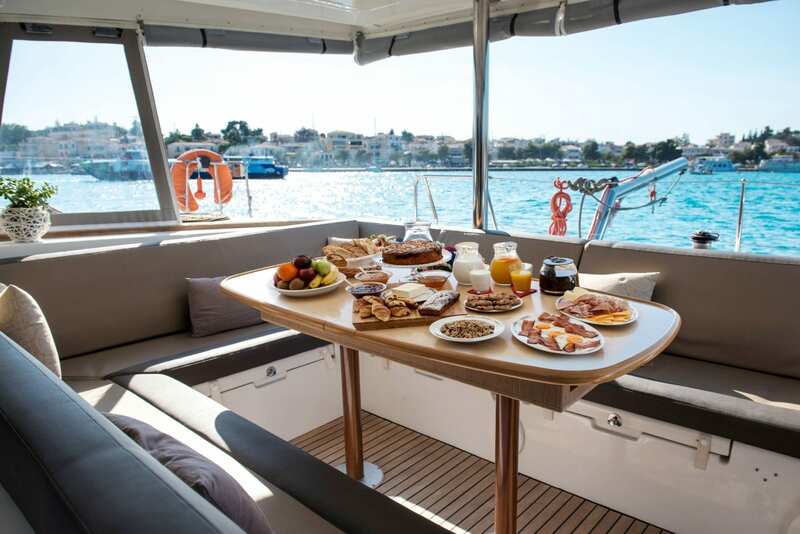 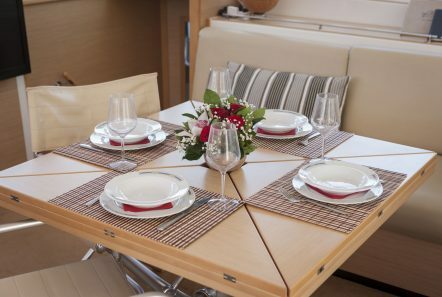 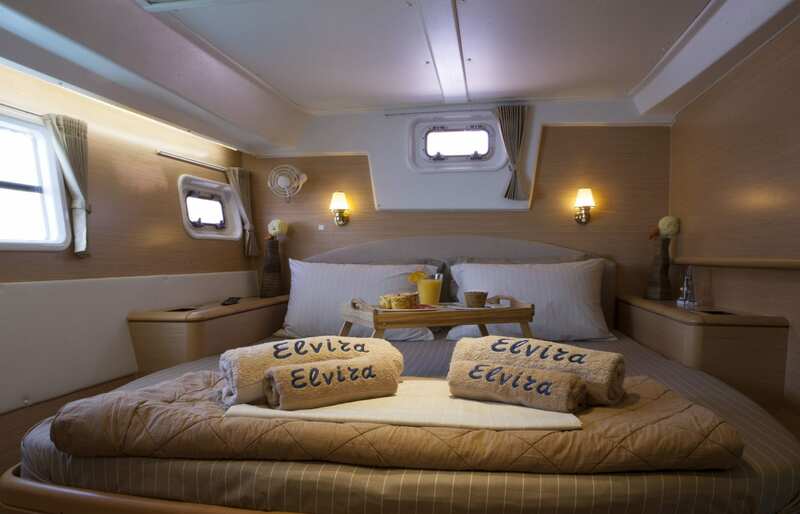 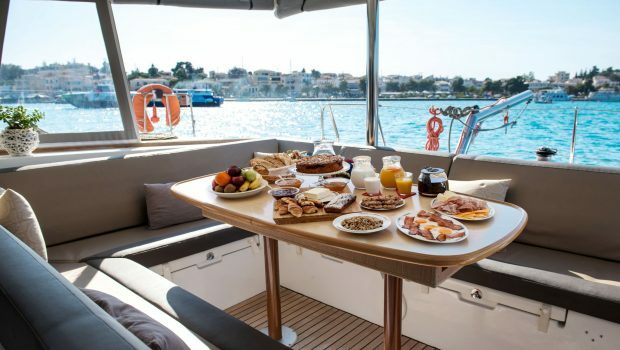 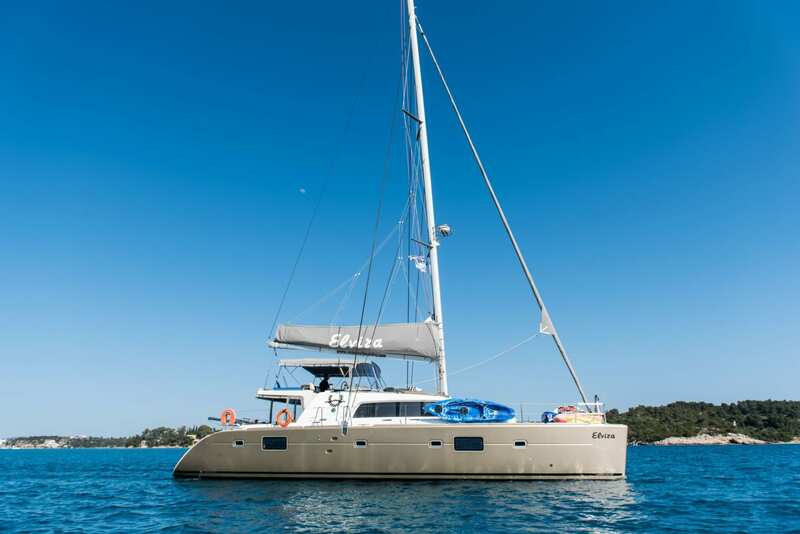 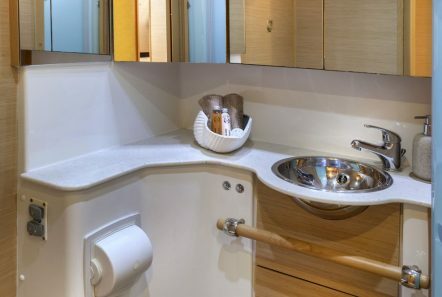 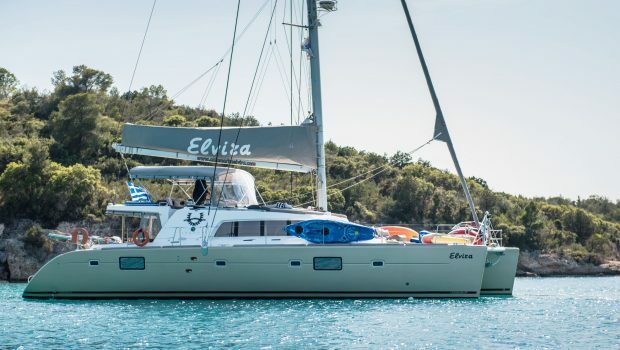 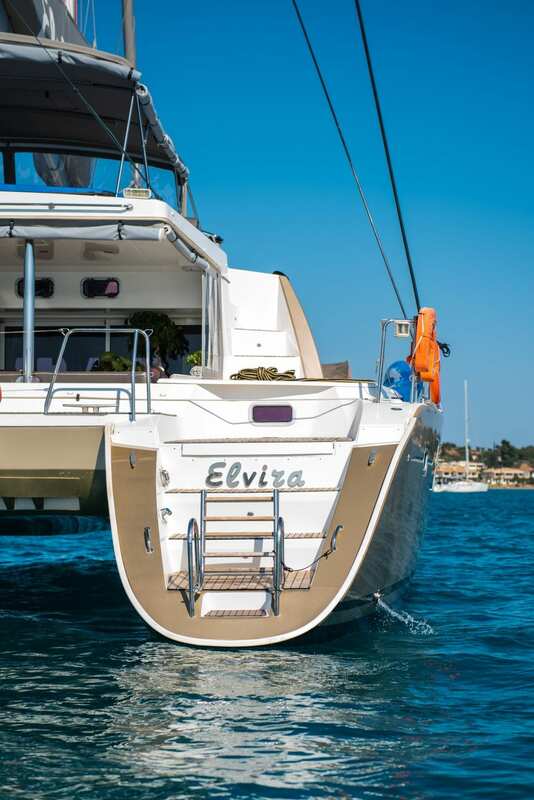 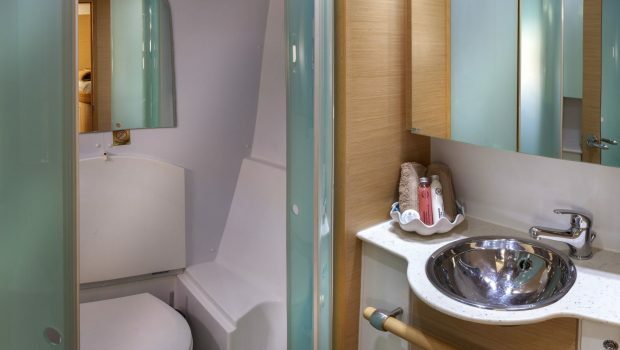 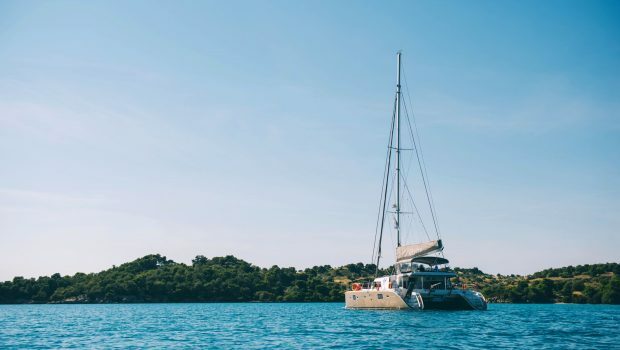 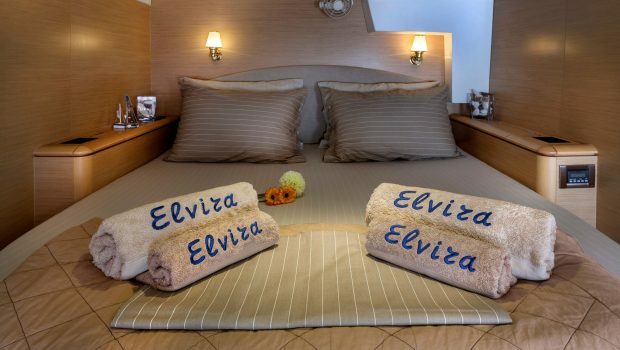 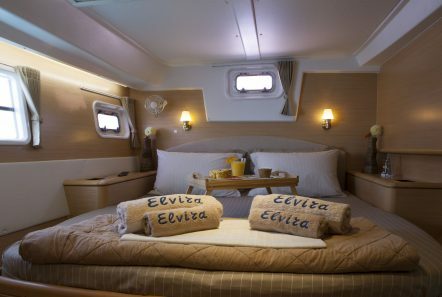 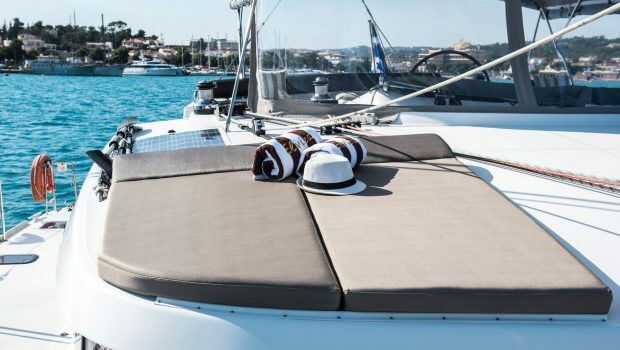 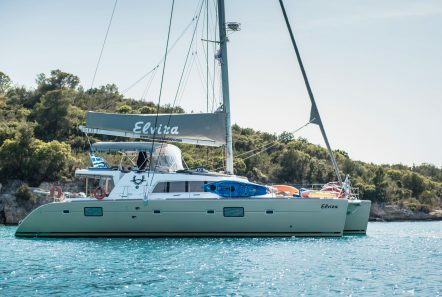 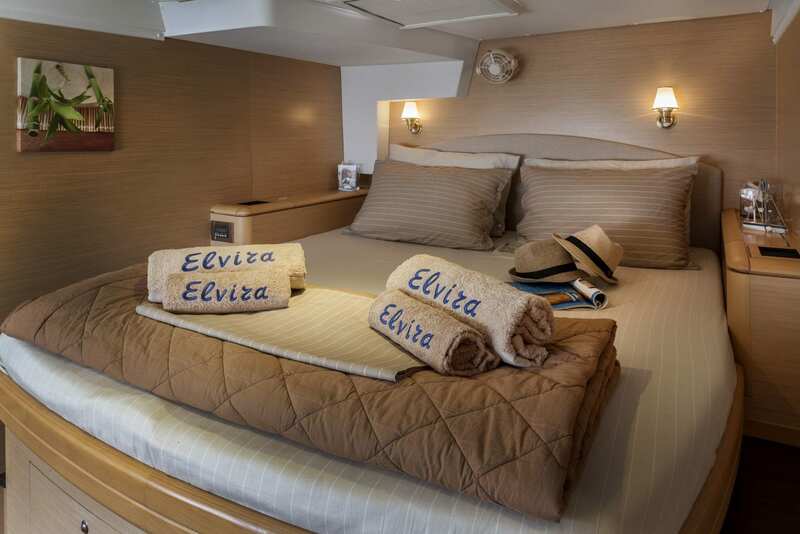 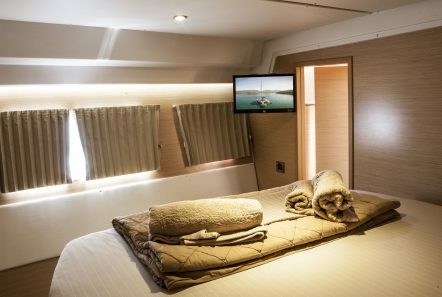 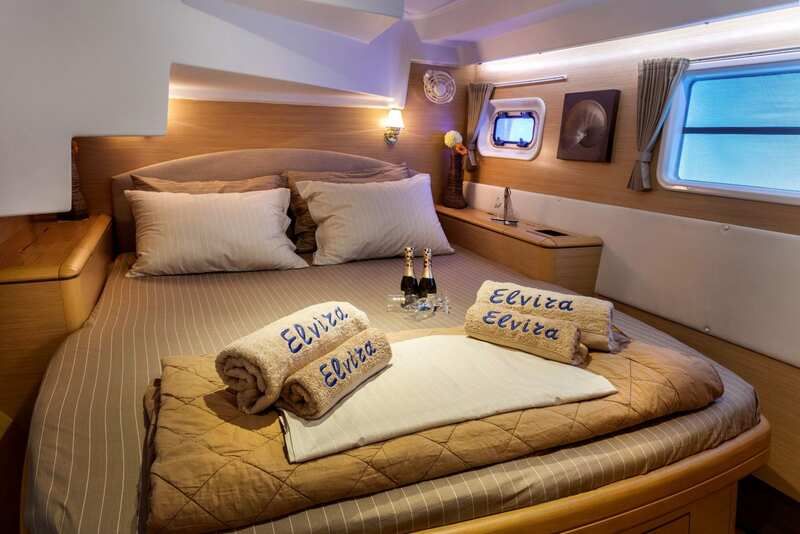 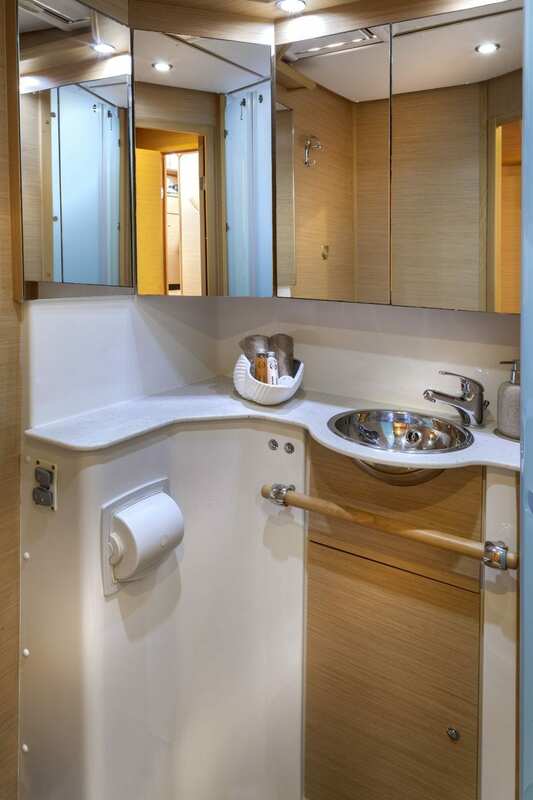 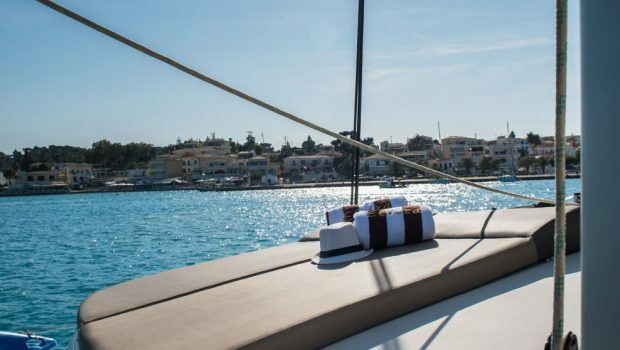 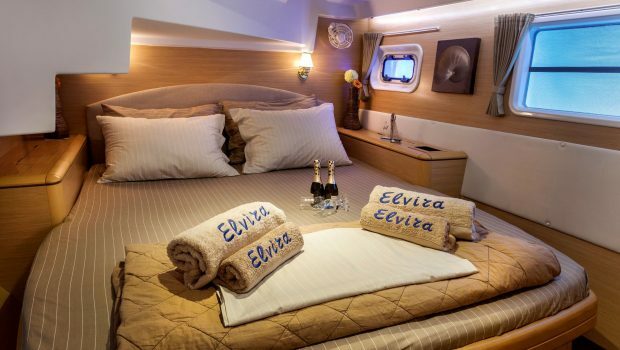 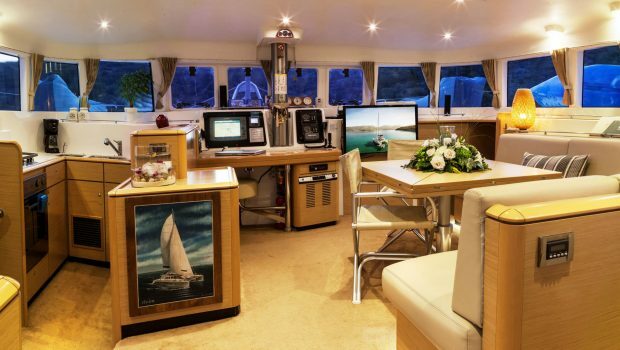 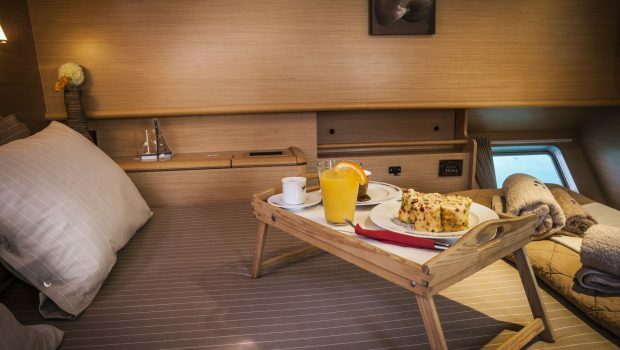 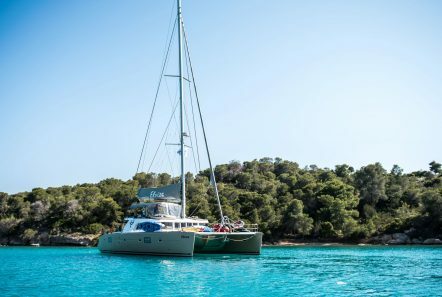 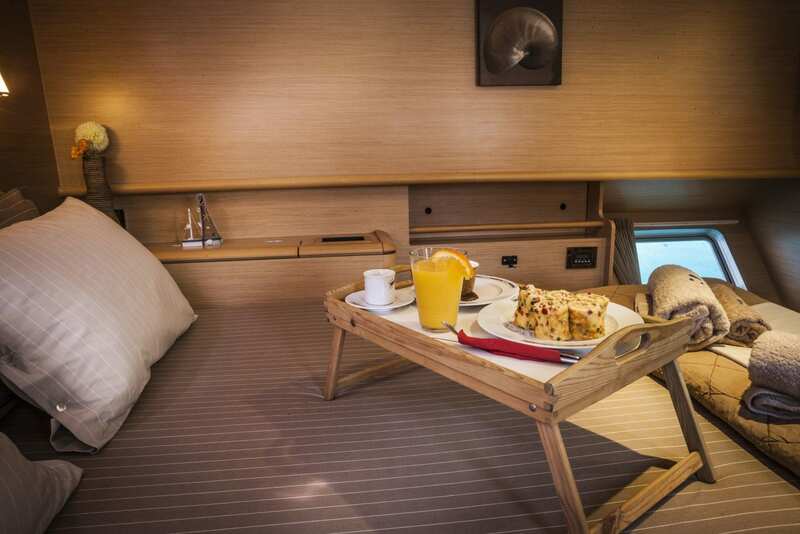 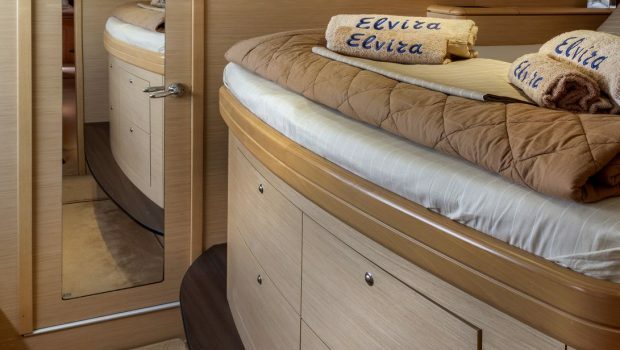 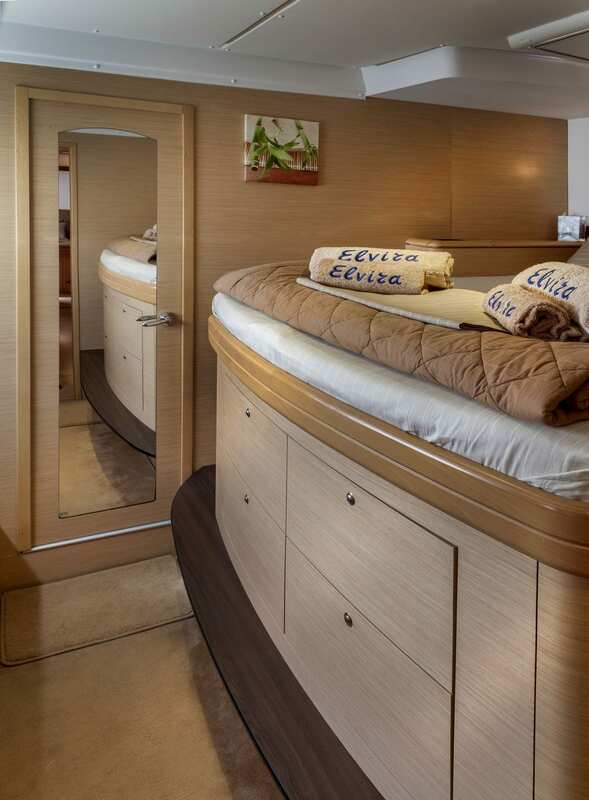 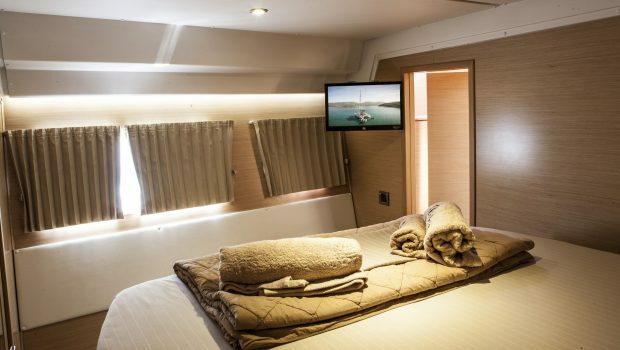 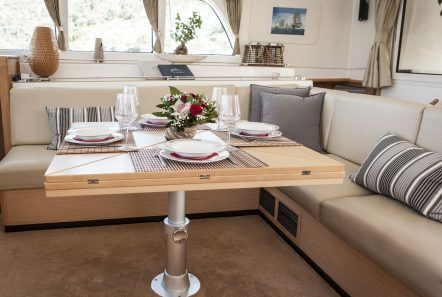 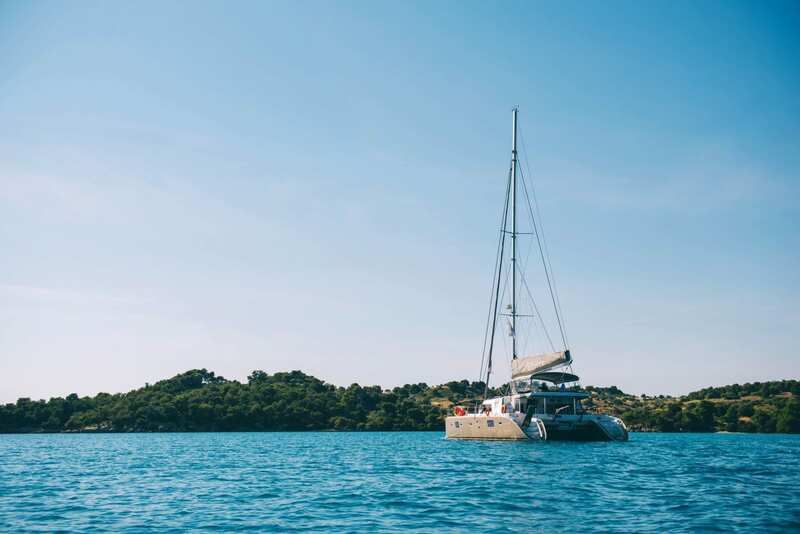 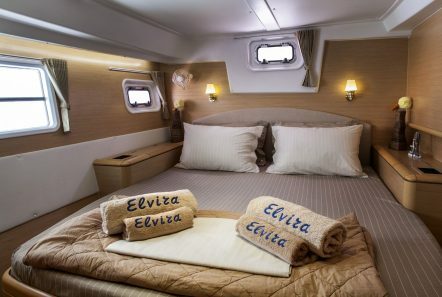 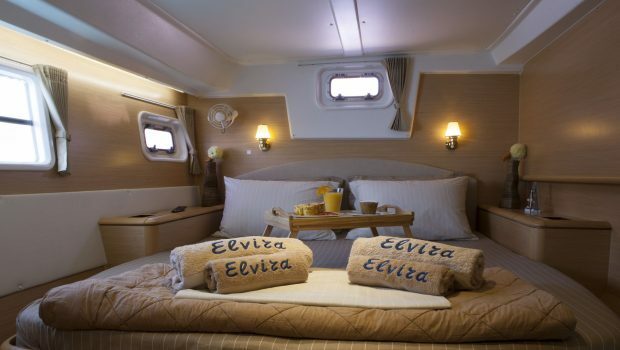 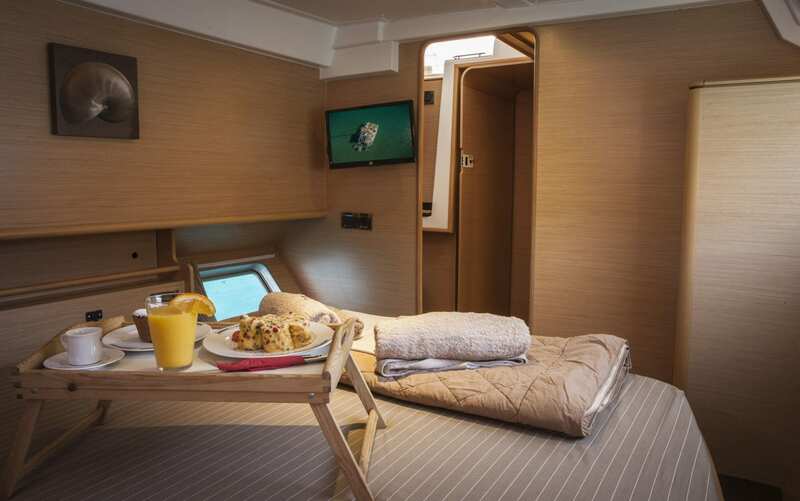 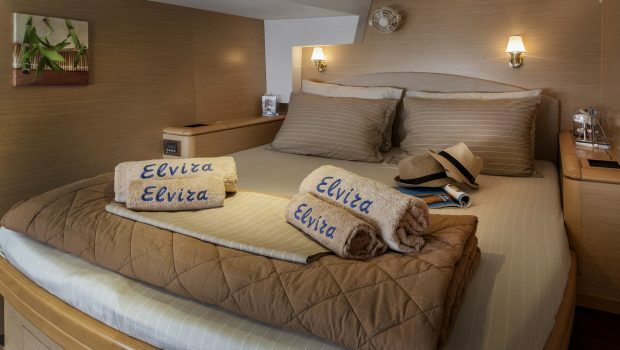 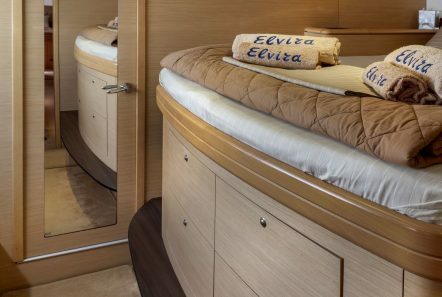 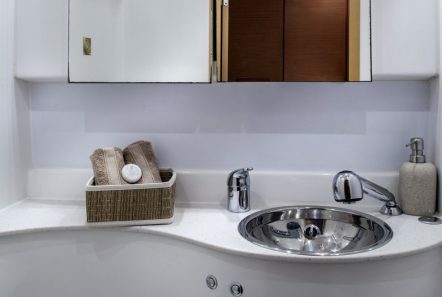 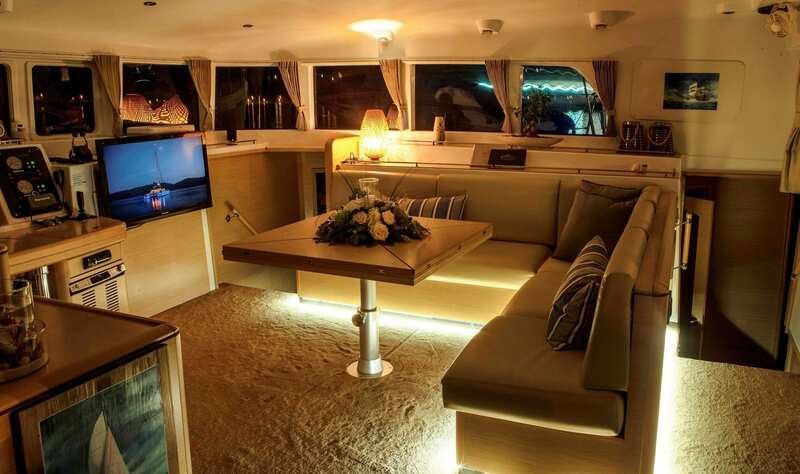 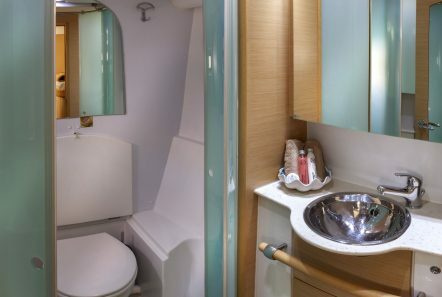 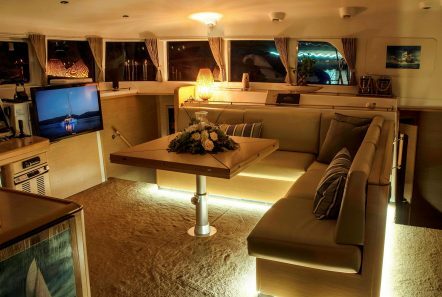 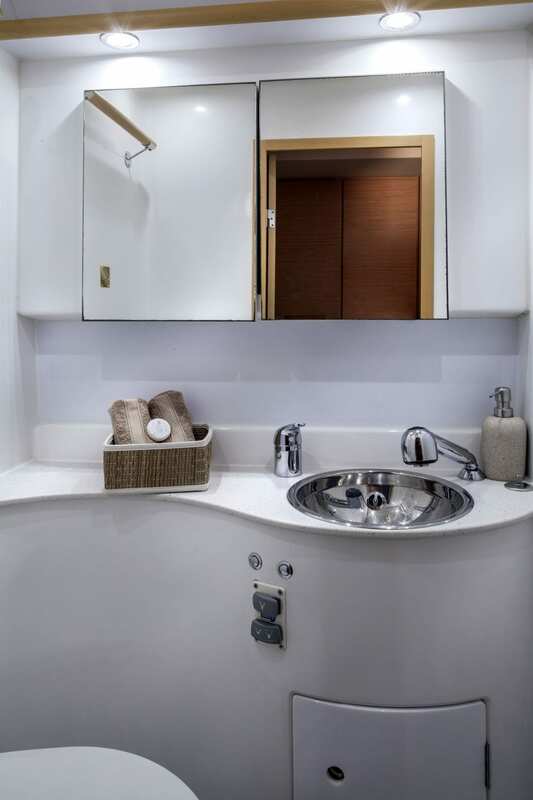 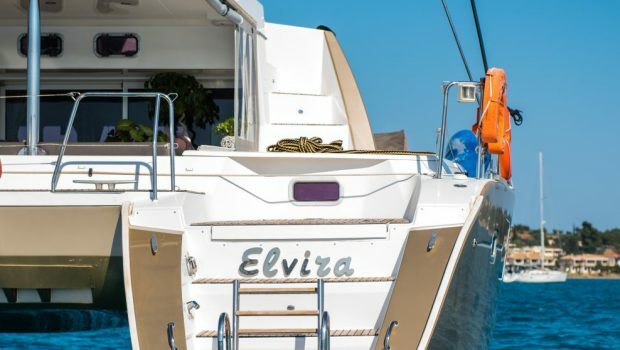 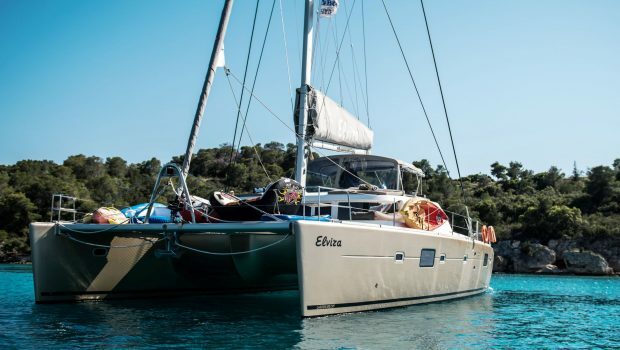 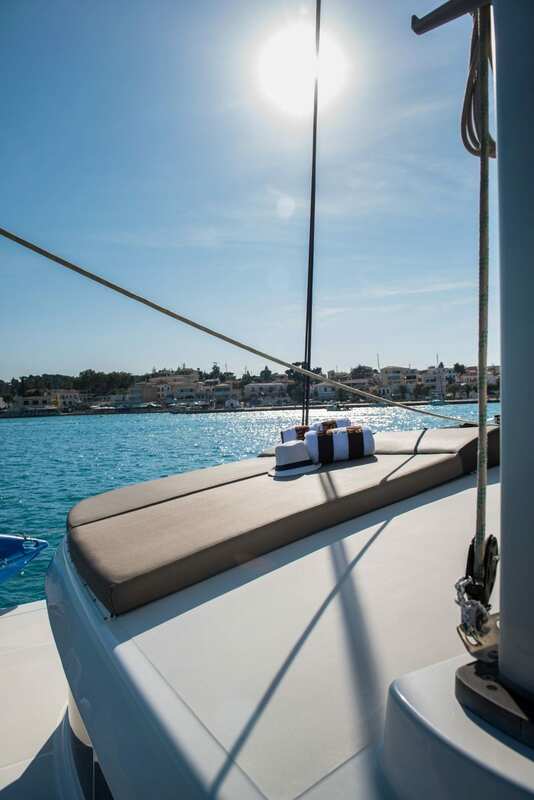 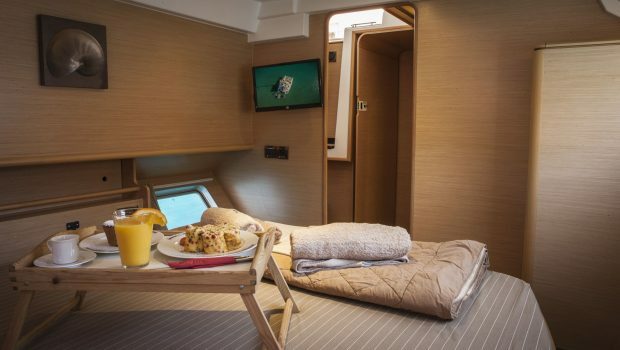 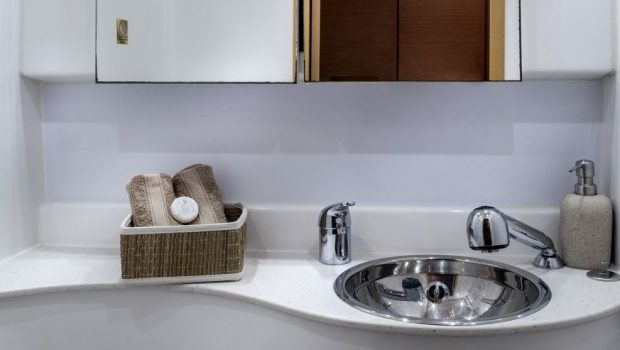 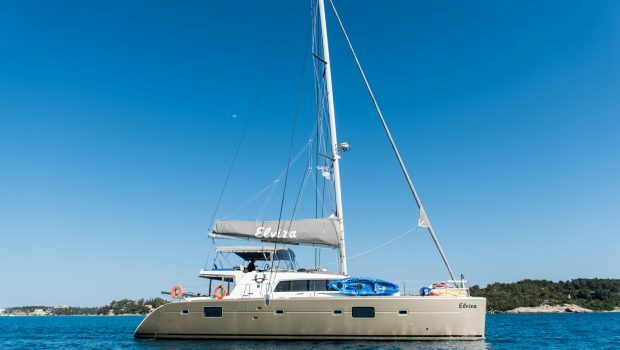 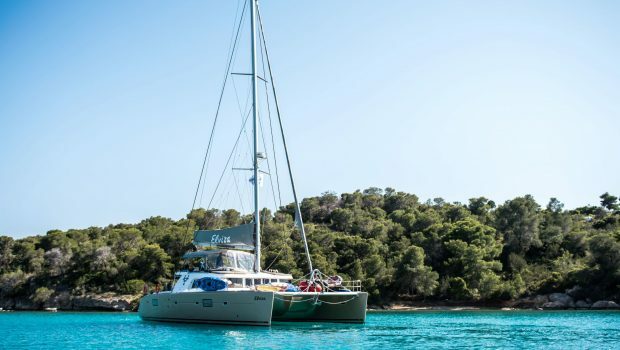 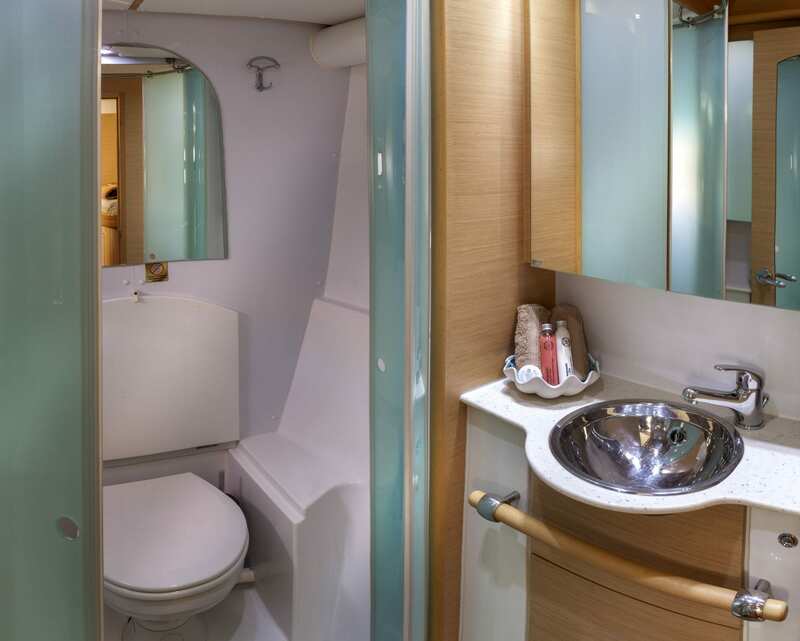 S/Y ELVIRA, accommodating ten guests in four Double cabins (all with en-suite facilities) and one upper and lower berthed cabin, offers simple style and luxury with the stability only a catamaran can provide. 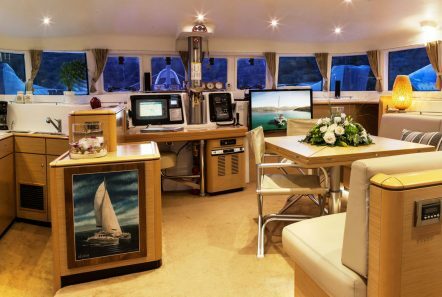 The salon is perfect for entertaining and enjoying the home cinema system as well as dining. 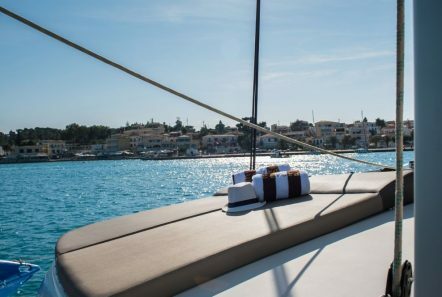 On deck the beautiful seating area is ideal for relaxing in the warm Greek sun, dining in casual elegance or enjoying cocktails during a sunset sail.